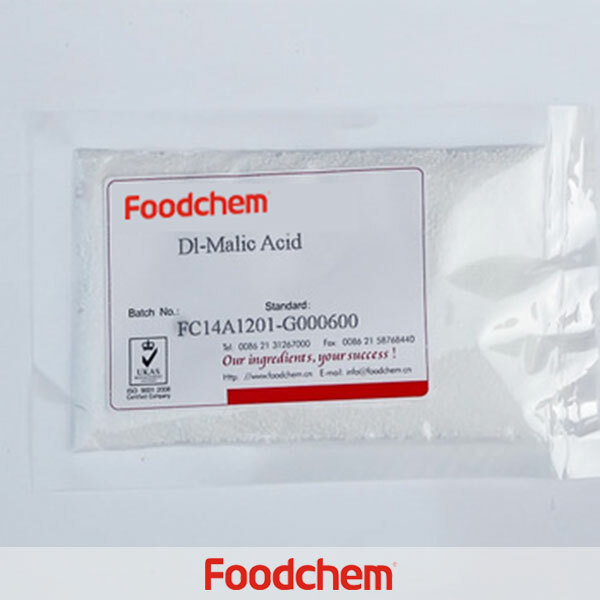 L-Malic Acid is one of the popular food additives and ingredients in most countries, As a professional L-Malic Acid supplier and manufacturer, Foodchem International Corporation has been supplying and exporting L-Malic Acid from China for almost 10 years, please be assured to buy L-Malic Acid at Foodchem. Any inquiries and problems please feel free to send emails to us via sales@foodchem.cn, we will reply you within 1 working day. L-Malic Acid can be widely found in vegetables and fruits, especially in apples, bananas, oranges, beans, potatoes and carrot. As our body only contains malic dehydrogenase, so we can only make full use of L-Malic Acid. And L-Malic Acid is a vital product of our food additives and food ingredients. (1) In food industry: it can be used in the processing and concoction of beverage, liqueur, fruit juice and the manufacture of candy and jam etc. It also has effects of bacteria inhibition and antisepsis and can remove tartrate during wine brewing. (2) In tobacco industry: malic acid derivative (such as esters) can improve the aroma of tobacco. (3)In pharmaceutical industry: the troches and syrup compounded with malic acid have fruit taste and can facilitate their absorption and diffusion in the body. (4) Daily chemical industry: as a good complexing agent, it can be used for toothpaste formula, spice synthesis formulas and so on. It also can be used as a deodorant and detergent ingredients. 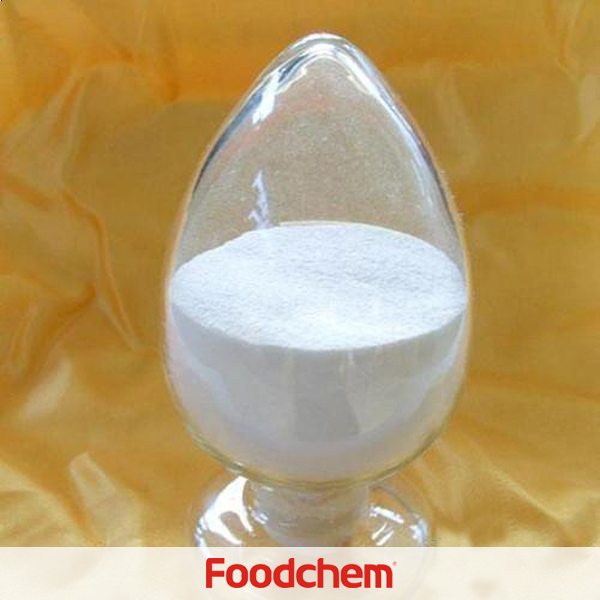 As a food additive, malic acid is an essential food ingredient in our food supply.As a leading food additives and food ingredients supplier in China, we can provide you with high quality malic acid. Foodchem is an ISO2008 9001 certified company, as for L-Malic Acid, we can offer HAPPC, KOSHER, HALAL Certificates, ect. 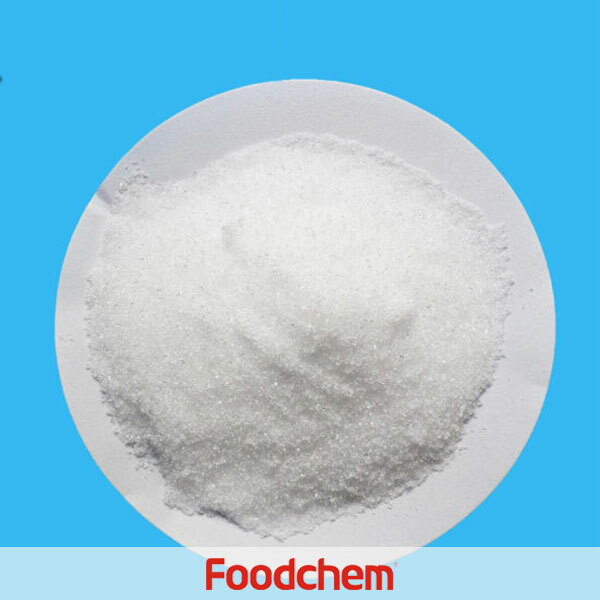 Foodchem is both manufacturer and trading company, we are L-Malic Acid distributor, at the same time, we are manufacturer of other products. 3, What is the Min Order Quantity of L-Malic Acid? 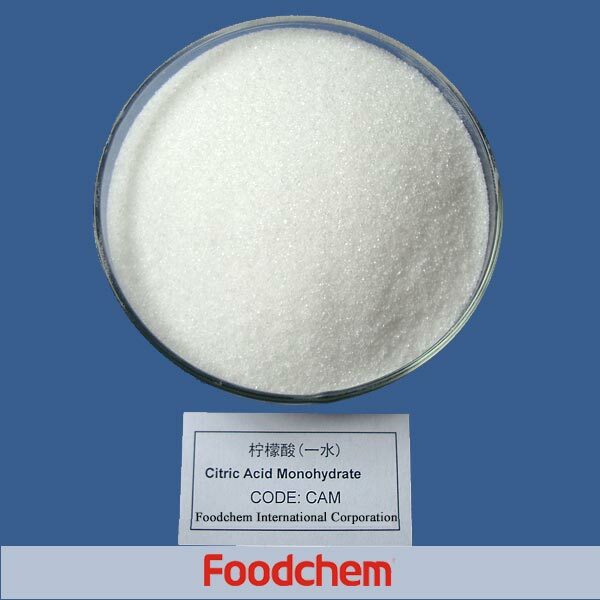 Different products have different MOQ, for L-Malic Acid, the MOQ is 500kg. 4, What is the price of L-Malic Acid? 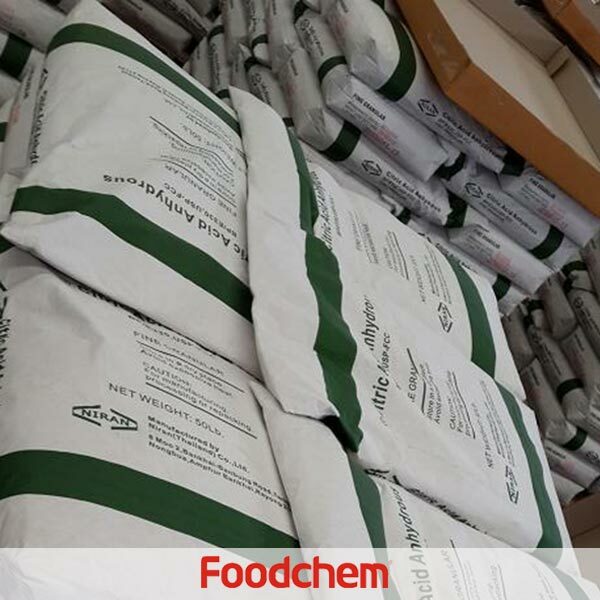 Foodchem is a famous supplier and manufacturer of L-Malic Acid in China, and has been corporate with many L-Malic Acid suppliers for several years, we can provide you with cost-effective L-Malic Acid. We can guarantee to reply your inquiries of L-Malic Acid in less than 24 hours in working days. muzzleQ : Hello, do you have halal certificate for your malic acid? We need to import to Malaysia. 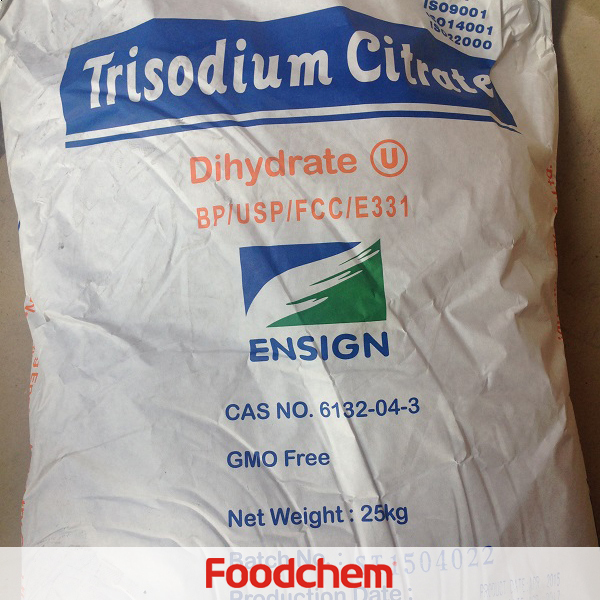 FOODCHEM A : Yes, we are supplying halal,kosher,iso,haccp mailc acid. Aliya KassymbekovaQ : hello, im writing to konw whether your firm delivers native corn starch (food grade) to Kazakhstan? 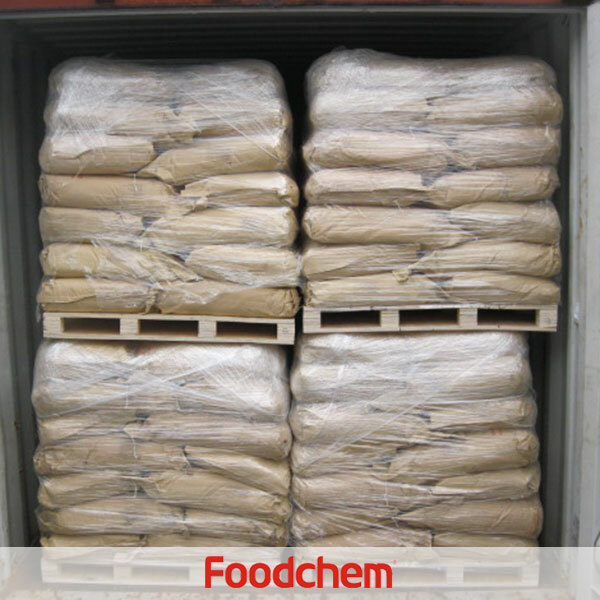 FOODCHEM A : Yes,we supply native cron starh as well as other starch products like potato starch,wheat starch and so on,we have been exporting to Kazakhstan for years and have had a lot of clients;Besides,we also export to the neighboring countries such as Kyrgyzstan,Turkmenistan,etc.